Matt Nable has secured a role in the hit US television series Arrow, where he will play one of the most iconic supervillains in the DC Comics universe. 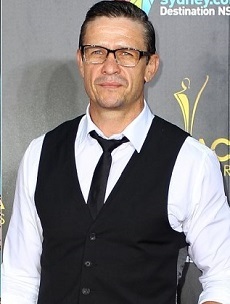 Matt, 42, has been signed to play Ra’s al Ghul, the leader of the “League of Assassins”. Ghul is considered one of DC Comics’ most iconic villains and, in the pages of the comic books at least, is a major nemesis of Batman. In Arrow, however, he will not meet Batman but rather go head to head with the show’s star character, Arrow, played by Stephen Amell. The deal, which puts Matt on a major US television series and on the payroll of a major US studio, Warner Bros, comes as he has finished filming on the Nine Network’s Gallipoli miniseries. Matt’s profile continues to rise after his role in Riddick last year starring alongside Hollywood Superstar, Vin Diesel. Matt wrote the screenplay for A Sunday In The Village and Diminished Flow – both of which are Feature Films in Development with Sunstar. Matt is playing the lead-actor in both Films. Arrow Season 3 Premieres in the US on October 8. P.O Box 552, Collaroy Beach NSW 2097. Sydney, Australia.